I got to see my friend who lives quite a distance away for a day. We have known one another since I began taking my eldest daughter to school. Our children have grown up knowing one another and get on well – which has certainly made things easier for our friendship. My friend and I spent the day chatting and catching up – and the children drew.It is quite a coincidence that all of our children love art and that they all wish to make a career out of it. Just another reason why we all get on so well together. Hi Colleen – I just posted last week’s recap – do you want me to add this to this week’s smile when I put it up? It will be in about an hour. Getting a full night’s sleep and relaxing with books is always great! That’s what time off is for. Catching up with old friends, face to face, is also very nice. 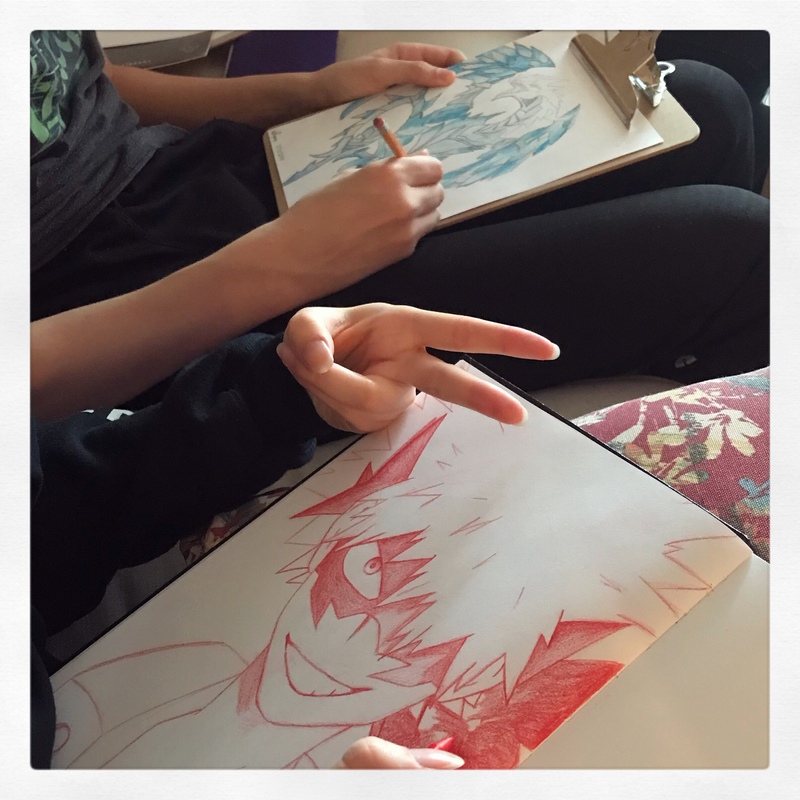 Cool having two artistic kids spending the day drawing together. Looks like you have some talented artists there, Colline. 🙂 🙂 A trip to Silves was the highlight of my weekend. Definitely worth a few smiles! Always good when you can spend time with friends! Talented kids!